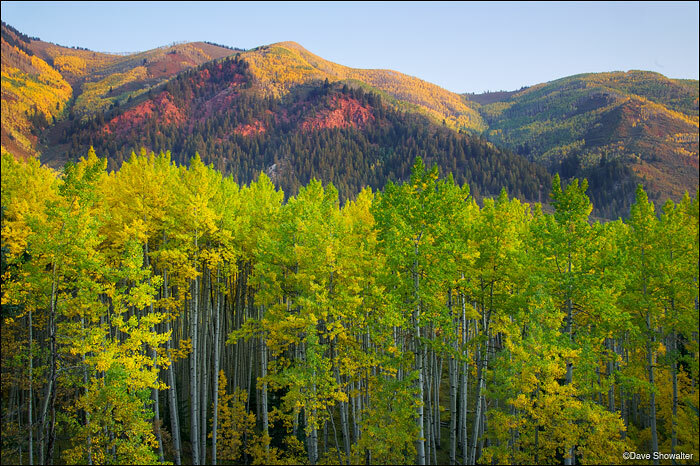 Aspen trees in various stages of gold approaching peak autumn color. The gold aspen on the ridge above East Snowmass Creek contrast nicely with the maroon rock characteristic of the Elks. Photo © copyright by Dave Showalter.